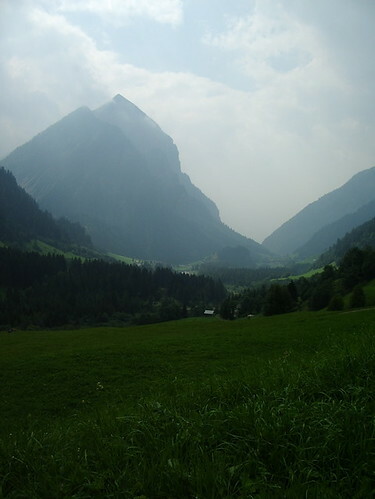 A couple years ago, my husband and I did a hut-to-hut hike in the Graubünden canton of Switzerland in the Alps. It was beautiful and soaring and very, very humbling. Today, I came across a wonderful set of photos on Flickr by the very talented photographer François-Xavier. He travels and photographs and writes about food. His photos are so rich and varied and do that thing that amazing photographers do of capturing the moment and the feeling of that moment just perfectly. They have a painterly feel almost like a still life which somehow seems so appropriate for showing people working with food using methods they love. 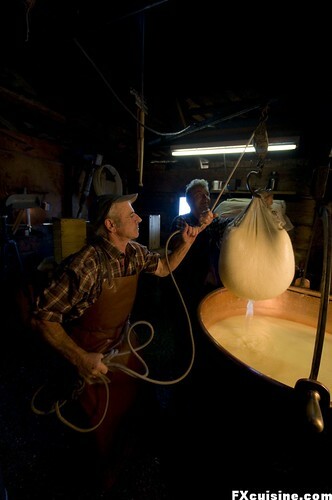 He did a story about cheesemaking in the Swiss Alps and his photographs are just lovely. I took my cheese with me and walked on until the pasture turned into a cliff. From there in one glance you can see Lake Geneva and the Lake of Neuchâtel with the entire canton of Vaud in the middle. No sound other than the wind across the grass. I lay on the grass and slept in the sun with half Switzerland unfolding below my feet. That was the best thing I did that week. 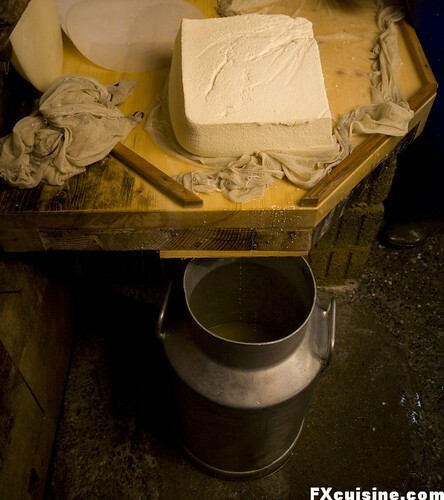 If you can hold back your envy, check out the rest on his website at FXCuisine.com — makes me want to put on some hiking boots, jump on a plane and go get some of that cheese.